The recent success of the conciliation between Timor-Leste and Australia has put a spotlight on alternative dispute resolution in international law, a far cry from the disappointments of the South China Sea arbitration in which China refused to participate. In the context of these recent developments, this article will explore the philosophy, popularity and possibilities of alternative dispute resolution in international law. International law has operated through many mechanisms over the years: through the ius gentium of Hugo Grotius; litigation in international courts and tribunals; and collective action through international and regional organisations, to name a few. However, the philosophy of dispute resolution has shifted again. Consensual, confidential and commercial methods of dispute resolution are increasingly important and attractive to States, particularly when disputes affect business interests in their countries. This is seen most keenly in the context of maritime delimitation disputes: examples include the Timor-Leste/Australia dispute; the dispute between Ghana and Côte d’Ivoire determined by the International Tribunal for the Law of the Sea; and the dispute between Croatia and Slovenia, resolved via an arbitral tribunal constituted under the auspices of the Permanent Court of Arbitration. These diverse methods of resolution have provided parties with faster resolutions to their disputes: for example, the final form of the Treaty signed between Timor-Leste and Australia was negotiated in just six weeks according to anecdotal reports provided by those involved. Further, the conciliation process permitted the parties to ‘control the outcome’, as Dominique Allen explains. The maritime delimitation did not only have results which would affect the sovereignty and obligations of the States. It also affected the joint venture engaged in exploiting the hydrocarbons resources located in the Greater Sunrise oil and gas fields that the parties were seeking to delimit. In engaging in the conciliation process, the parties could maintain commercial certainty, by involving the joint venture engaged in exploiting the resources in the conciliation and negotiation process; protect the confidentiality of their discussions; and engage the expertise of the conciliators in dealing with such technical and sensitive issues. However, the private nature of alternative dispute resolution mechanisms has been seen by commentators as both a benefit and a disadvantage. For example, Moshe Hirsch has noted that in the context of human rights complaints in international investment law, problems arise out of the focus on the ‘private-commercial’ aspects of disputes, to the exclusion of public policy concerns. However, this concern may be misplaced, given the state practice to date. For example, in the Arbitration Agreement which gave rise to the Croatia/Slovenia arbitration, article 4(b) stated that the maritime delimitation fell to be determined based on international law, equity and ‘the principle of good neighbourly relations’ to achieve a ‘fair and equitable’ result. Further, this idea of equity was important also in the Timor-Leste/Australia conciliation, where the resulting treaty was specifically praised by the Timorese government as ‘equitable’ and as furthering the friendship between the two States. The popularity of alternative dispute resolution has been seen alongside the encroachment of the International Court of Justice’s (“ICJ”) traditional dominance of international dispute resolution. The last time that States entered into a treaty with a clause giving jurisdiction to the ICJ to resolve a dispute was 31 October 2003, with the adoption of the United Nations Convention against Corruption, and even then, the relevant article, art 66(2), only applies when parties cannot agree on the terms of an interstate arbitration. This has occurred as a result of these other forms of dispute resolution proving themselves to be adequate, and even superior, to that model offered by the ICJ. Another cause for popularity of alternative dispute resolution suggested by the American Society of International Law is States’ ‘inherent distrust’ of compulsory dispute resolution, particularly given the example given by the Society in that paper of the resolution of the maritime delimitation between Peru and Chile, where the Court made its ruling based on arguments neither party had argued. However, adopting more consensual forms of dispute resolution also carries their own risks. Indeed, it has been less than two years since the conclusion of the aforementioned South China Sea arbitration, a process in which China refused to participate, leading to a result which China to this day refuses to accept. One concern which exists in common law jurisdictions with alternative dispute resolution is that the private nature of ADR will mean that results are not made public and the doctrine of precedent cannot operate to advance and develop the law. This concern is largely irrelevant in international law. First, publicity attaches to virtually all interstate disputes which means that results are not shrouded in mystery, particularly as governments frequently require processes of legislation and public consultation to implement international agreements. Second, we see a real attempt by bodies outside of the ICJ to ensure that there is consistency and precedents in outcomes, as can be seen in the judgment of the International Tribunal for the Law of the Sea in the dispute between Ghana and Côte d’Ivoire: see, for example, the reference to consistency in practice in paragraph . The example set by the resolution of the Timor-Leste/Australia dispute will hopefully be followed by States into the future. United Nations Secretary-General Antonio Guterres noted that he hoped that that the treaty reached between the two nations would ‘inspire other states to consider conciliation as a viable alternative dispute resolution settlement’. However, the conciliation was the first to use the process under Annex V of the United Nations Convention on the Law of the Sea and there are no signs of other States following their lead, even in the wake of their success. The most high-profile current dispute concerning maritime delimitation in the context of hydrocarbons deposits is that between Somalia and Kenya, which is currently pending before the International Court of Justice. However, arbitration and other forms of alternative dispute resolution will remain popular, particularly in international disputes having a commercial character as States seek to resolve their issues with the benefits of private agreement. This will occur particularly as developing and new States begin to attempt to exploit hydrocarbons resources lying in contentious areas and wish to avoid protracted and expensive international litigation. It also may be possible that alternative dispute resolution will be used as a stepping stone to litigation in the ICJ, as the jurisdictional clause in the United Nations Convention against Corruption suggests, and maintain its status as a secondary form of international dispute resolution. As for now, watch this space of international dispute resolution, as it continues to expand in new and different ways. 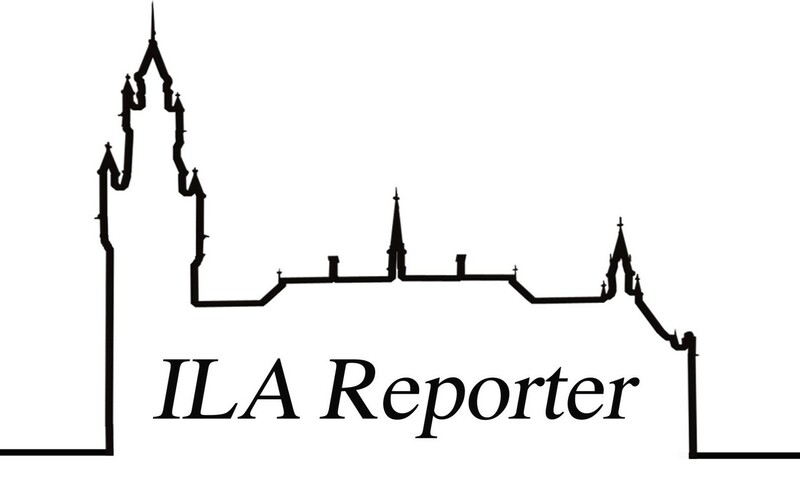 Molly Thomas is an Assistant Editor of the ILA Reporter.